Evidence on cannabis as an effective treatment for PTSD is growing. Here are five amazing discoveries about cannabis and post-traumatic stress. Many states now offer medical cannabis recommendations to patients with post-traumatic stress disorder (PTSD). However, there is still some contention over whether or not the herb is a safe and effective treatment for the condition. While clinical trials of medical cannabis for PTSD have yet to be published, pre-clinical evidence and pilot research are quite promising. 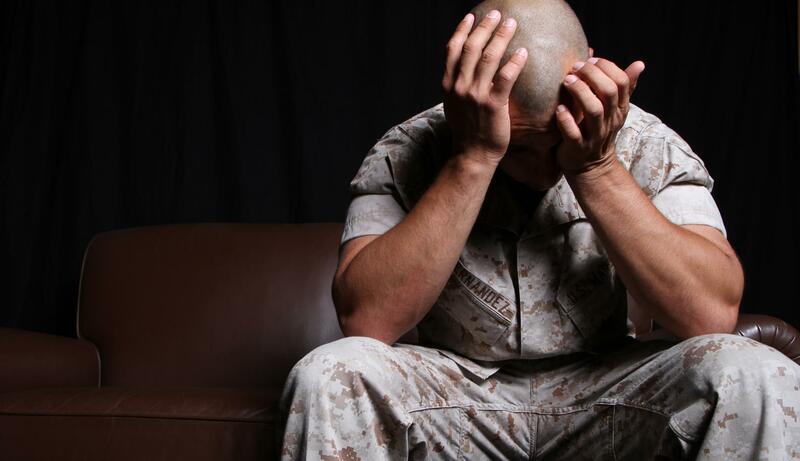 Here are 5 things you didn’t know about cannabis and PTSD. If a study from 2009 is any indication, cannabinoids and genetics both may contribute to PTSD. Cannabinoids are compounds like THC, the primary psychoactive in cannabis. The human body creates chemicals very similar to THC and other phytocannabinoids. Human-produced cannabinoids are called endocannabinoids. Researchers performed genetic testing on parents and children of families associated with a history of attention deficit hyperactivity disorder (ADHD) and common co-occurring disorders. The study found mutations in genes that code for a particular cannabinoid receptor, the CB1 receptor, in both patients with ADHD and PTSD. The identification of these mutations is a good sign that cannabis therapies are therapeutic avenues worth exploring for researchers and medical professionals. A small trial from Israel tested the effects of oral THC in 10 PTSD patients. THC was administered as an add-on treatment in participants who only achieved partial symptom management with conventional treatments. THC was administered in five-milligram doses twice daily. […] a statistically significant improvement in global symptom severity, sleep quality, frequency of nightmares, and PTSD hyperarousal symptoms. Three patients experienced adverse side effects with cannabinoid treatment, but they were mild and did not cause a discontinuation of the study. A 2012 rodent study found that nonpsychoactive CBD may help those with traumatic, stress-related memories forget. The researchers placed rats in a special box and subjected them to a foot shock. Normally, when rats experience a foot shock in a certain environment, they develop a fear memory response each time they are placed in the same environment. Interestingly, researchers discovered that CBD intervenes in this process. Rats were injected with CBD and placed in the same setting that would normally cause them to exhibit fear and freeze. CBD treatment effectively reduced freezing when injections were administered shortly after the event. Amazingly, CBD treatment also reduced fear response a long time after the initial memory was formed, which is a good sign that cannabinoid treatments may help desensitize the stress recordings that trouble patients with PTSD. However, large clinical trials and humans are needed to test this hypothesis. Unfortunately, there are no published results from large-scale clinical trials on cannabis treatments for PTSD. However, research published in 2015 found some incredible results in patients enrolled in New Mexican cannabis programs. Researchers collected data from 80 psychiatric evaluations of PTSD patients. Results were collected prior to cannabis treatment and after receiving a medical cannabis recommendation. The study found that cannabis use was associated with an over 75% reduction in symptoms and condition severity. As is hopefully clear by this post, cannabis treatments for PTSD are promising. So promising that researchers in different countries are launching clinical trials of medical cannabis treatments for the condition. Another medical cannabis study is happening at the University of British Columbia. Last fall , researchers began recruiting the 42 study participants needed for the trial. Researchers will be looking closely at how the herb affects sleeping patterns and helps patients get through the night in peace.